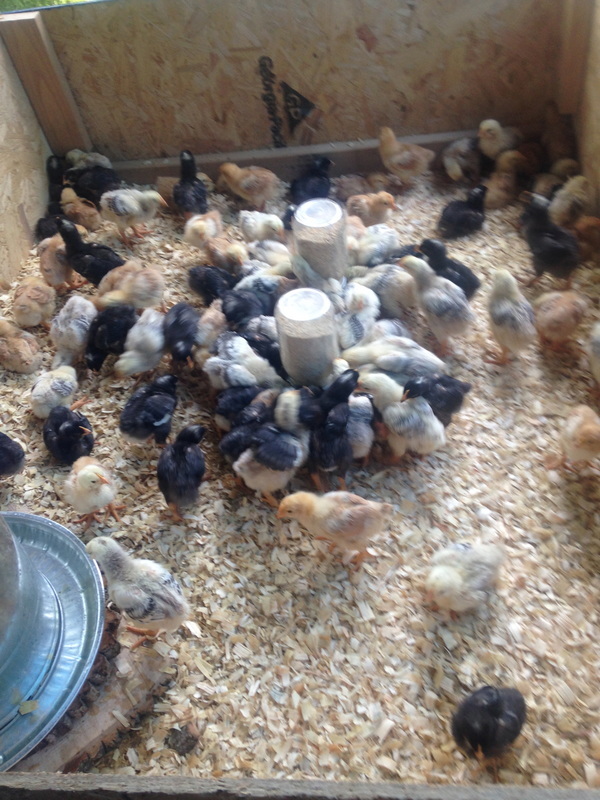 Our chickens are pasture raised following organic practices. It is so natural to picture Chickens happily roaming around a yard scratching and pecking it is hard to imagine them raised in confinement without access to bugs and grass! our chickens eat a ton of grass and bugs and in addition to fertilizing our pasture for us it really improves the flavor of the meat! I find myself surprised at how bland store bought chicken now tastes to me! In addition to the pasture we feed them a locally sourced organic feed. 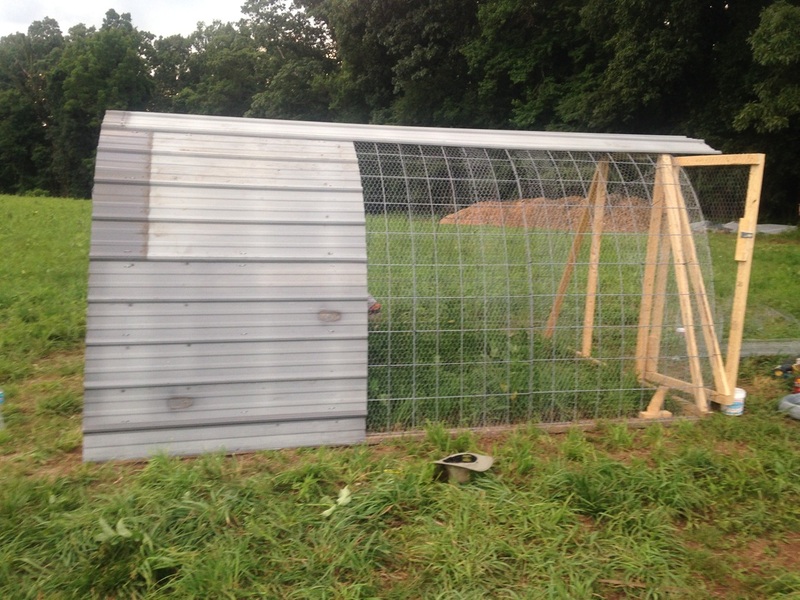 Chicken Tractors are a wonderful way to raise chickens on pasture while still protecting them from predators! We have foxes, weasels, and even rats who, when they are small, will happily kill and eat our birds! hawks and other large birds with easily carry off a small chicken. 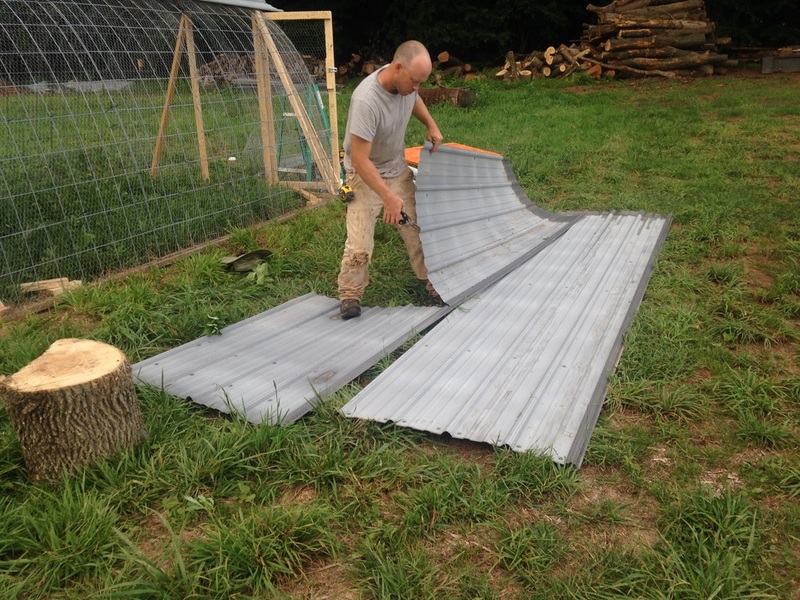 Chicken tractors are fully enclosed so these animals can't get in and by moving the whole tractor daily, we ensure the chickens continuously have access to fresh pasture. In the last few weeks as they reach full size we begin moving them twice a day to keep up with their growing appetite! 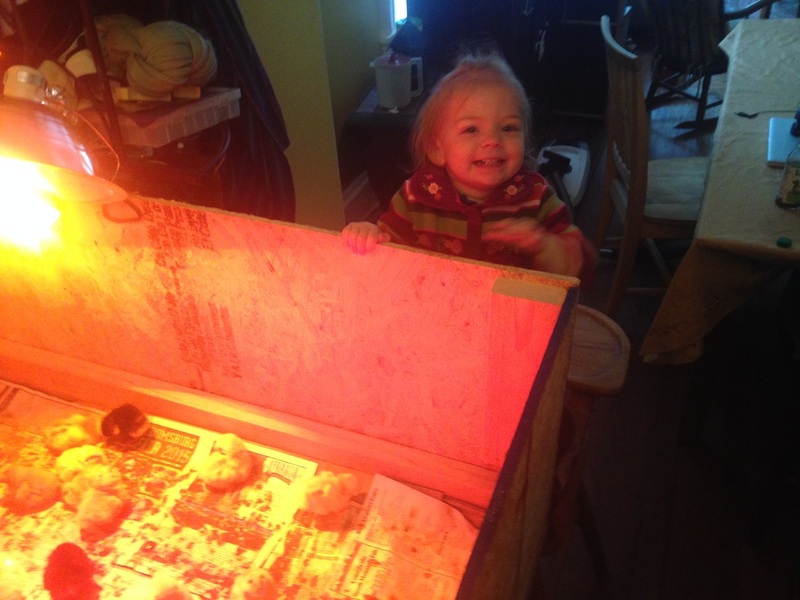 Day old chicks in their brood box! for the first 2-3 weeks of their lives chicks need to be kept warm in a brood box with a heat lamp to keep the temperature high enough. 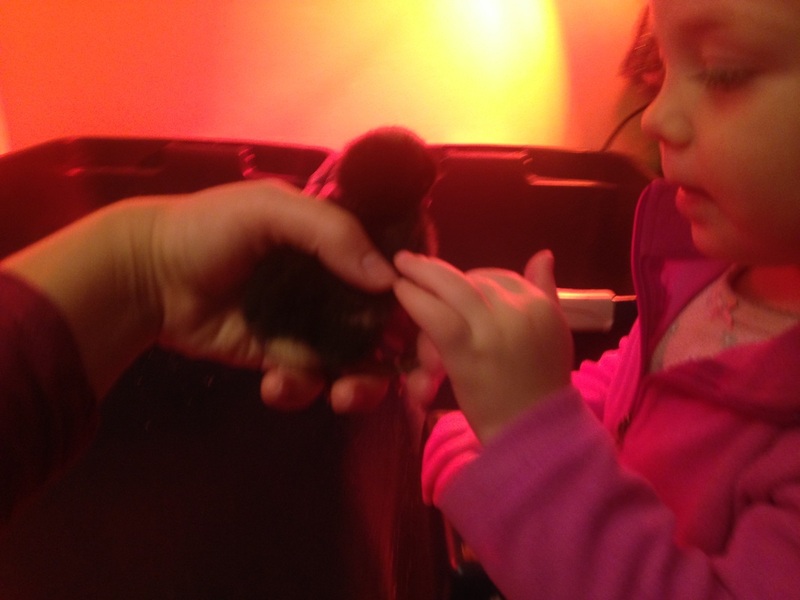 This is clara's favorite part (and i have to admit mine as well) when they are still tiny and fluffy! 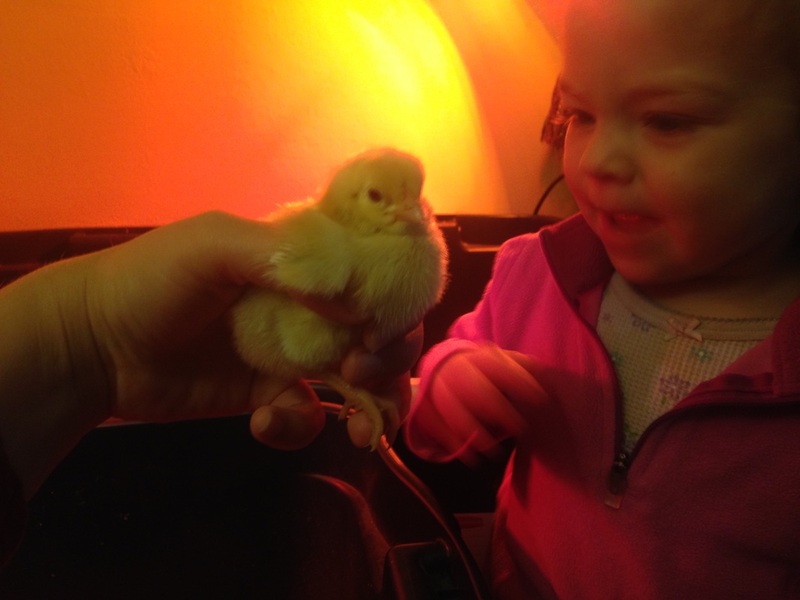 Clara could spend hours just sitting and watching them run around their brooder.